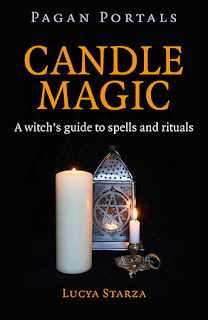 A bad witch's blog: My Book: Pagan Portals - Candle Magic at the Printers! My Book: Pagan Portals - Candle Magic at the Printers! 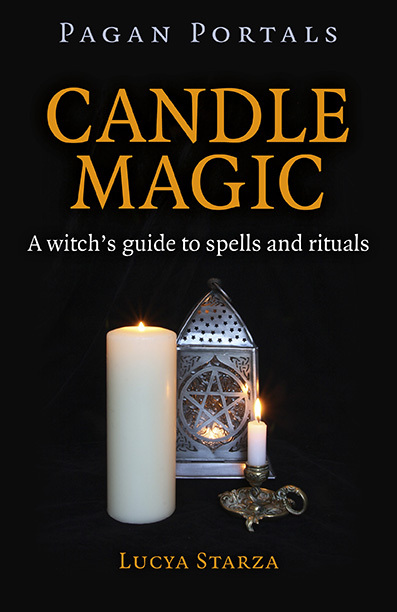 I've had a notification that my book - Pagan Portals - Candle Magic - is at the printers! The actual publication date is February 2016 - so there is a little while to wait before it reaches book shop shelves. I'm intending to have launch events in the run-up to Candlemas, which is the traditional festival when candles are blessed, on February 2. I'll also be running a competition to win a paperback copy of Pagan Portals - Candle Magic well in advance of it coming out, so the lucky winner will get to read it before pretty much anyone else. There are a few people who have already read my book - my hubby and all my wonderful friends who did proofreading before it was copy-edited and who kindly wrote endorsements. Thank you so much! Pagan Portals - Candle Magic is being published by Moon Books. You can see an image of the final cover to the right.